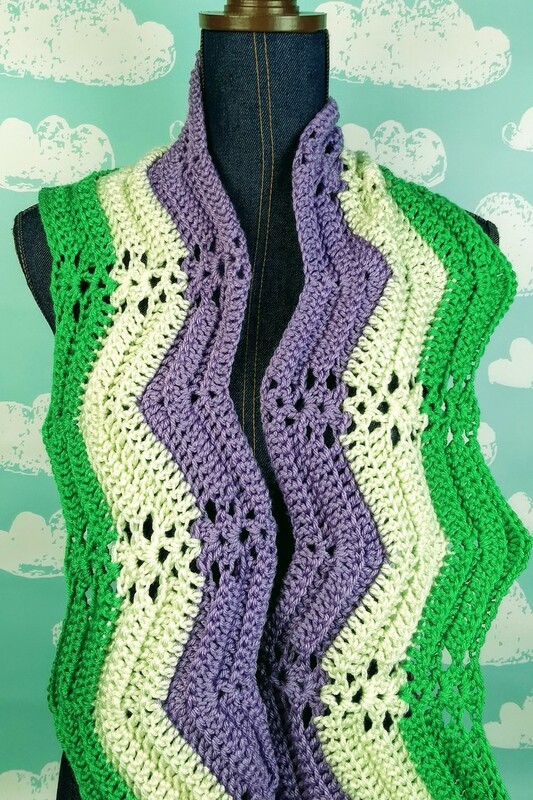 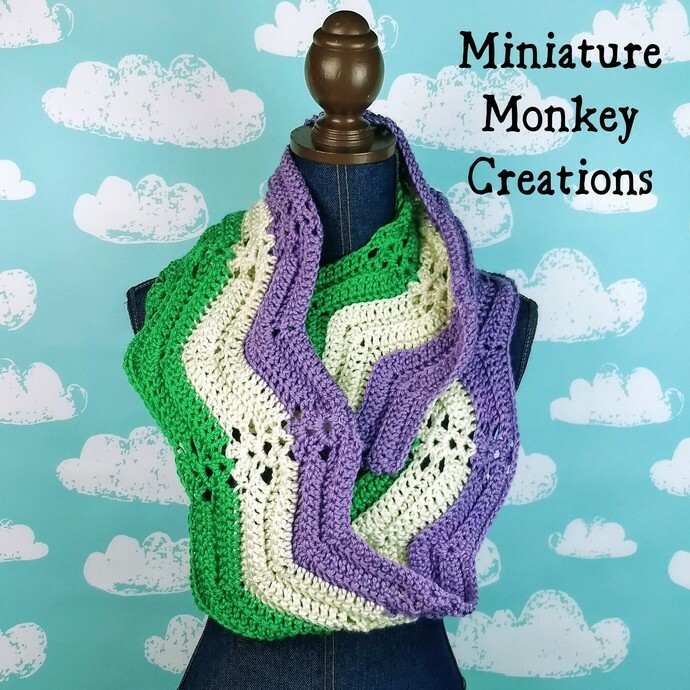 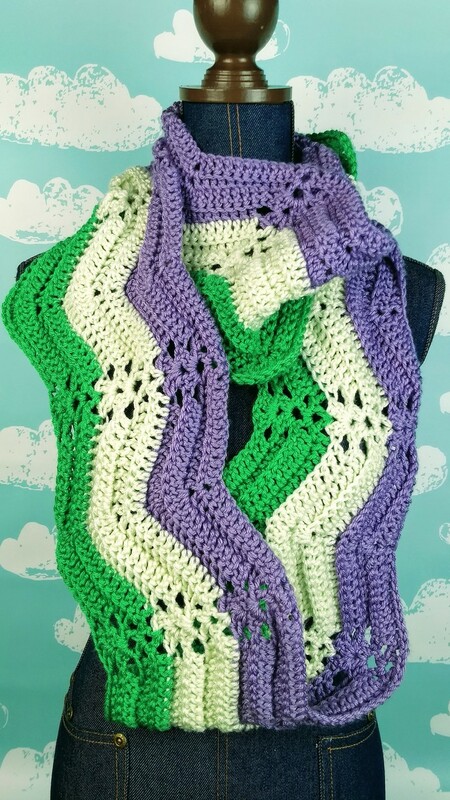 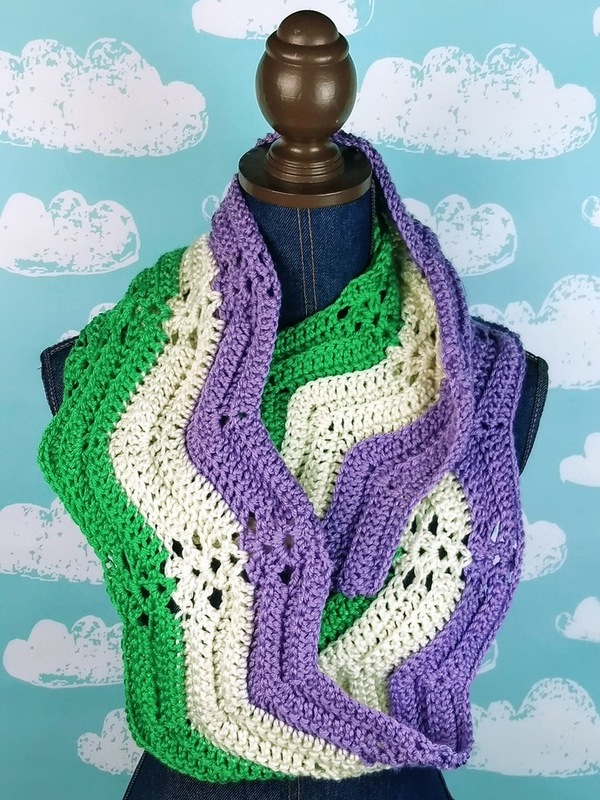 This super soft infinity scarf sports the colors of the Genderqueer or Nonbinary Pride Flag in a ripple pattern that alternates lacy and solid sections. 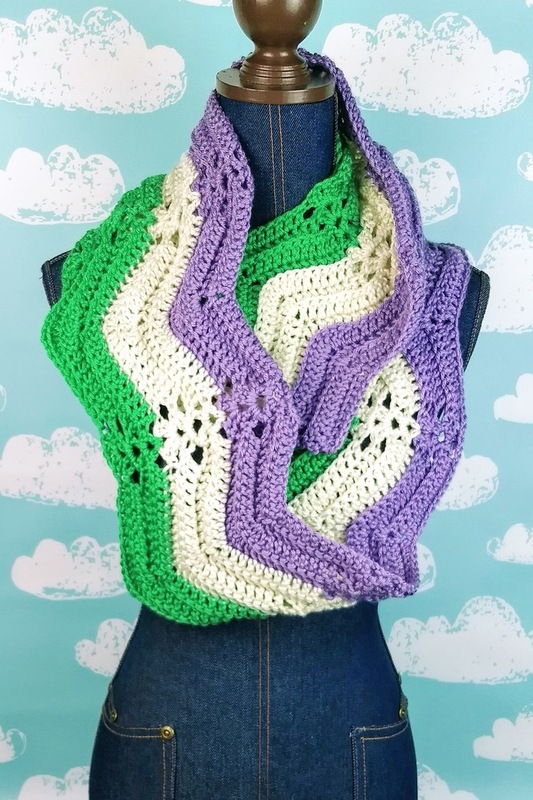 A generous 68 inches around and 7 inches wide, there is plenty of scarf to wrap around twice, or leave it hanging long to show off your colors. 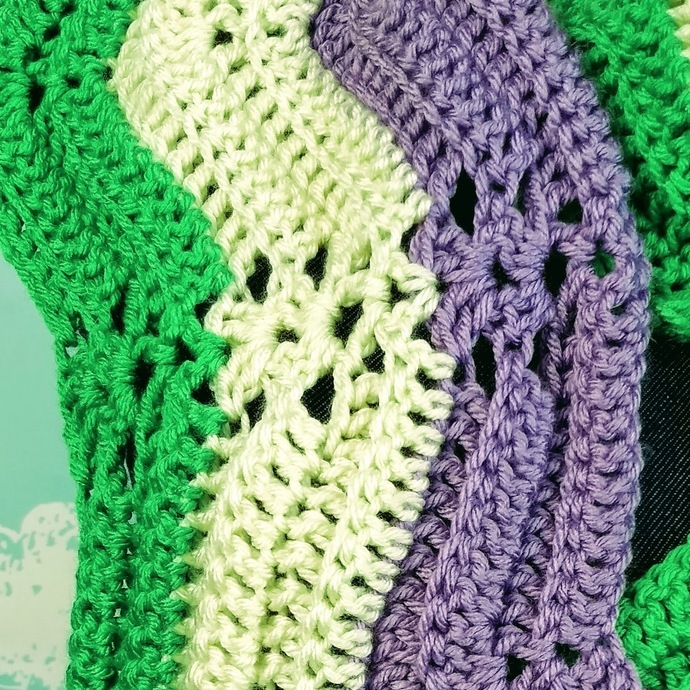 The premium acrylic yarn used in this scarf can be machine washed and dried, but will last longer if you handwash and lay flat to dry. 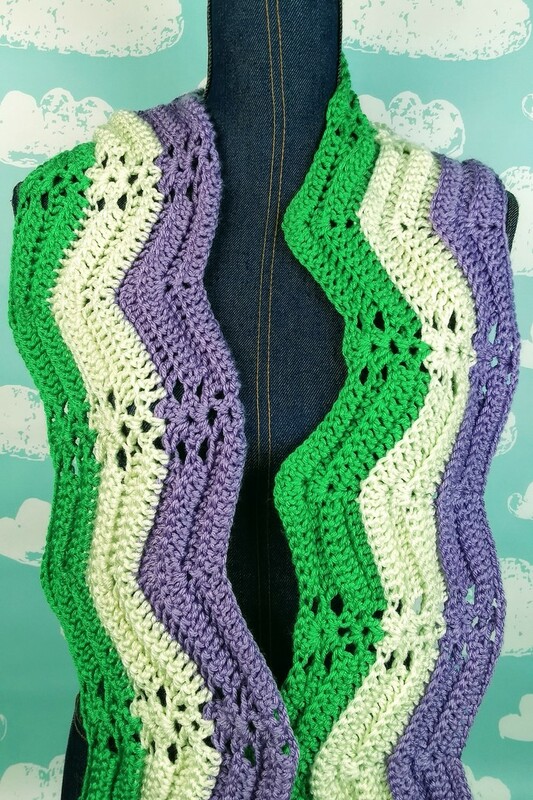 Would you like this scarf in the colors of another Pride flag, or your favorite color(s), or another size? 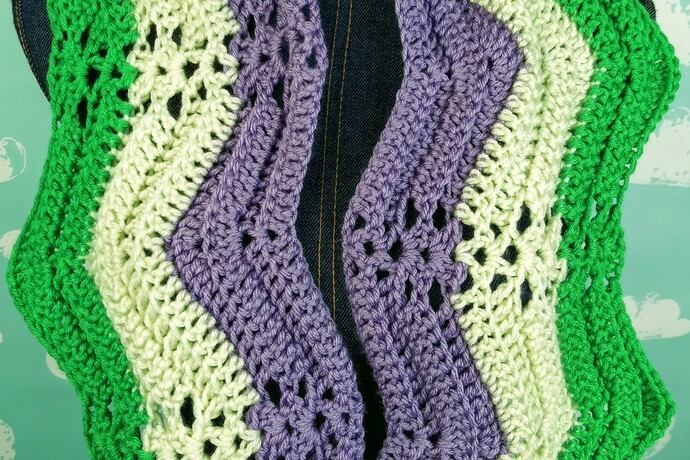 Feel free to use the contact button on my website to make a custom request.